There are two basic types of garage door springs. One is the torsion spring. The other is extension springs. Our certified techs are trained to service both. Do you like fixing things around the house? If you do, we applaud you. However, we suggest you don’t try to service these parts. Unless you are properly trained, please let our pros help you. Many people have been hurt working with these parts. Don’t let that happen to you. This is no time to be humble. Choose us for extension and garage door torsion spring repair in Humble, Texas. Our certified techs are trained and skilled. We have the experience to service all garage door parts efficiently. 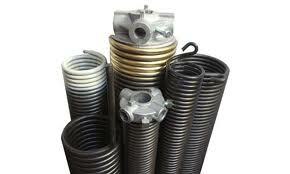 We are the local company to call for torsion spring repair in Humble. Our specialists will work hard to come up with a cost-efficient solution. Sometimes these parts are damaged beyond affordable repair. In other cases, all it is required is torsion spring adjustment. Either way, we are prepared to administer the quality service you need. At Garage Door Repair Humble, we are very serious about spring repair services. We are proud to offer same day service for your repair needs. Our service vehicle is completely stocked with all types of torsion springs. We keep a wide range of spare parts in stock. Every move we make is designed to improve your service experience. We repair or replace springs fast and our rates are downright reasonable. Give us a try today. We will administer fast and reliable garage door torsion spring replacement. Our pros will replace extension springs just as quickly. Keeping the right parts on hand makes our service that more efficient. We always give our customers our very best. Call us if your spring has snapped. One of our techs will come quickly to replace it. We are aces in the installation of new torsion springs and make sure they are properly wound. Choose us for Humble garage door torsion spring repair or replacement.